Driver Careers – Drive First Class with Challenger! Why us? Driving for Challenger is First Class, all the way! We offer First class pay, support, safety, equipment, training and more. We’re one of Canada’s Best Managed Companies, and a Best Fleet to Drive For, and we have the awards to show for it! We put our people first and make sure our drivers have the support they need 24/7 across the continent. Whenever and wherever our drivers are on the road or at home, the Challenger team provides the First Class driving experience! Single Driver Operation: Operating throughout Canada and the US (excluding AK and HI). Average 2300 miles per week. Team Driving Operation: Operating throughout Canada and the US (excluding AK and HI). Average 5000 miles per week. Regional Driving Operation: Multiple work configurations available in BC, AB and ON. Steady mileage with a focus on getting our drivers home regularly. Reefer Driving Operation: Operating throughout Canada and the US (excluding AK and HI) in refrigerated division. Average 2300 miles per week. LCV/Turnpike Driving Operation: Multiple work configurations operate in Western Canada, Ontario and Quebec. Our LCV division offers predictable mileage and home time, as well as Canada-only work. LCV training provided. Special Commodities Division (SCD): Operating out of Ontario with service primarily to the southern, southwestern and western US. We have flatbed, oversize and heavy haul work. With an average of 2500 miles per week, earn the most per mile with specialized transportation. Full-Time and Part-Time Hourly Driver: Full-time and part-time hourly rate driving opportunities available. * Newly licensed drivers will be considered for our training program. Preference will be given to those from approved driving schools. Become an Owner Operator with Challenger. You can purchase Job-Ready Trucks from our amazing Fleet. Contact us today to learn why Challenger is the company you should be driving for. 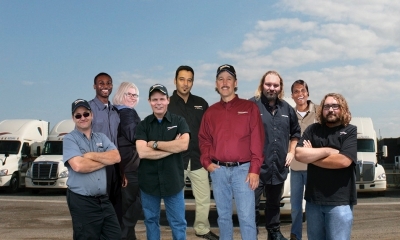 Our diverse divisions offer our drivers a variety of work and lifestyles. Whether you’re looking for consistent daily runs and nightly home time, being on the road for weeks at a time, or anything in between, we have the right fit for you.